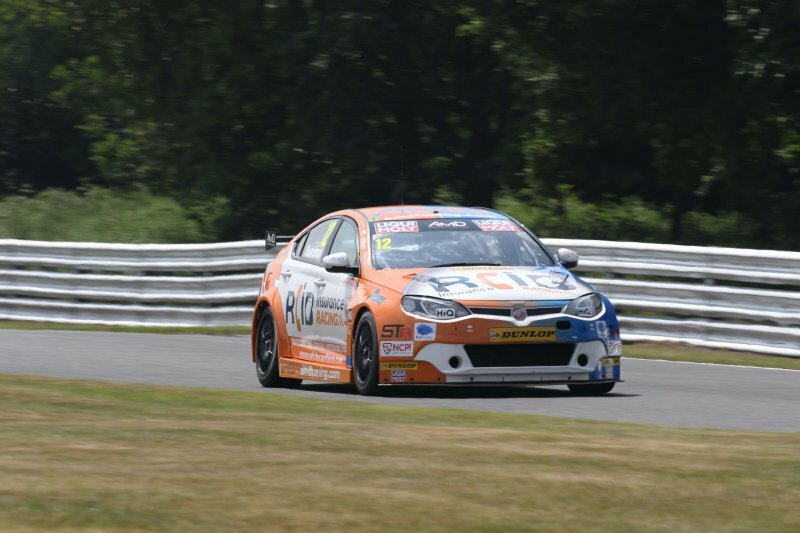 The AmD with AutoAid/RCIB Insurance Racing team will look to maintain the solid progress it has made so far this season when the Dunlop MSA British Touring Car Championship heads for Croft this weekend for round five. Having taken over the running of the ex-works MG6 GTs this season, the West Thurrock-based team has consistently challenged for points finishes and makes the trip to North Yorkshire aiming to add more points to its championship total. Already this year, the team has scored double the points that the works team had up picked going into the corresponding meeting twelve months ago. Fife-based racer Rory Butcher leads the team’s challenge going into the Croft weekend having picked up his seventh points scoring finish of the year last time out at Oulton Park. The Scottish racer looked well placed to add to that in the final race of the weekend in Cheshire before being caught up in an unfortunate start-line shunt that left his car needing extensive repairs in the short gap before the team needed to leave for long journey north. Hard work back at base has seen the #6 car fully repaired, with Rory now seeking to reward the team with more strong results on track at a circuit where has enjoyed plenty of success during his career to date. Forton-based team-mate Tom Boardman has also enjoyed success on track at Croft in the past, taking a brace of victories in the Production Class back in 2003 and then picking up three top ten finishes during two seasons in the premier class back in 2010 and 2011. Tom makes the journey across the Pennines buoyed by a strong performance on track last time out at Oulton Park, where he bounced back from a difficult qualifying session – and a drive through penalty in the second race of the weekend – to pick up his second points finish of the year. Tom will seek to add to his championship tally in the final meeting before the BTCC’s traditional summer break, with his results on paper not being a fair reflection of the pace he has shown so far on his return to the series. “I’ve not been to Croft for five years but I can’t wait to return as I love the circuit and I’m feeling positive about the weekend ahead. We made good progress with the car during race day at Oulton Park and I’m excited to see how that translates into on-track performance when we hit the track this time around. “As I’ve said all season, points are the key thing for us and it is important that we try and score in all three races to keep them ticking over, but I’m also keen to try and push for a really strong result this weekend. “I’m really looking forward to heading to Croft this weekend and I can’t wait to get back in the car. We showed strong pace last time out and I’m feeling more comfortable behind the wheel every time I go out on track. “We still have a bit of work to do in qualifying but our race pace is getting better and better and it leaves me confident that we can pick up some strong results going into the summer break. “It has been a good season so far with the MGs and we head for Croft confident that we can put more points on the board before the summer break. The team has worked hard and done a fantastic job to repair the damage we picked up at Oulton Park, and both cars are in perfect shape for the weekend ahead. “Although it’s been a while since Rory and Tom both raced at Croft, there is no reason at all why both can’t expect to fight for a place in the top 15 and with the pace they showed at Oulton Park, a top ten is very much achievable. Photo again courtesy of the excellent Marc Waller!